Wake Forest Institute for Regenerative Medicine (WFIRM) scientists are working on a promising approach for treatment of chronic kidney disease—regeneration of damaged tissues using therapeutic cells. By harnessing the unique properties of human amniotic fluid-derived stem cells, WFIRM scientists have demonstrated that the cells could potentially help recover organ function in a pre-clinical model of kidney disease. "Our results indicate that this type of stem cell could be used as an off the shelf universal cell source and may provide an alternative therapeutic strategy for patients suffering from this chronic and debilitating disease," said senior author James J. Yoo, M.D., Ph.D., a professor of regenerative medicine at WFIRM. Study results were recently published online ahead of print in the journal Tissue Engineering Part A. This paper is one in a series the research team has published regarding therapies for the treatment of kidney disease. Known worldwide for their pioneering research on 3-D bioprinting of tissues and organs, WFIRM researchers have also been tackling kidney disease and the shortage of organs in a variety of ways. They were first in the world to identify and characterize stem cells derived from amniotic fluid in 2007 and have developed techniques for isolation and expansion of the cells. Amniotic fluid-derived stem cells can be used as a universal cell source because they have the ability to become different cell types as well as the ability to be anti-inflammatory, making them a potential source for regeneration. Unlike pluripotent and adult stem cells, amniotic fluid-derived stem cells are not as likely to provoke an immune system response. Additionally, their use does not lead to risks of tumors or ethical concerns, as with embryonic stem cells. For this study, researchers found that amniotic fluid stem cells injected into a diseased kidney in a pre-clinical model led to improvement of kidney function based on measured waste levels after 10 weeks. Biopsy findings showed reduced damage to the cluster of capillaries where waste products are filtered from the blood. "Our studies demonstrate that treatment with amniotic fluid stem cells had positive effects on functional improvement and structural recovery of the kidney," said WFIRM Director Anthony Atala, M.D., and a co-author of the paper. 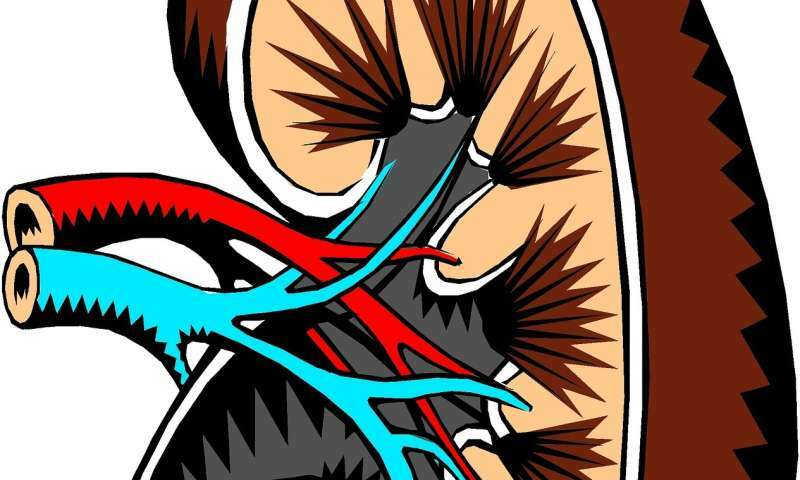 Kidney disease is a worldwide public health problem and can manifest in acute and chronic symptoms. More than 30 million American adults are affected by the disease and millions more are at risk of developing it, according to the National Kidney Foundation. Transplantation is the only definitive treatment method that restores kidney function, but has its own challenges with rejection and life-long immunosuppression. There also are not enough donor organs to meet demand. Sunil George, Ph.D., a WFIRM research fellow and co-author who has been a part of the studies, said further research is being pursued. "It remains to be seen whether injecting more cells or more efficient engraftment of the infused cells enhances improvement of organ function," he said.